I've updated my Cocoa1090 app for macOS, so it now also works with the netSDR. 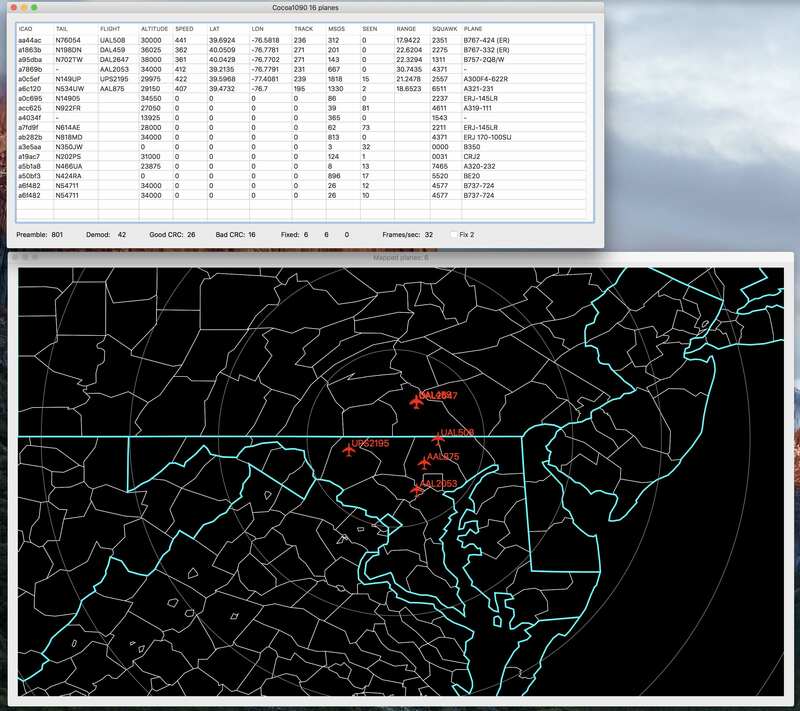 Cocoa1090 decodes ADS-B aircraft transponder messages. You'll need the VHF/UHF converter board in your netSDR of course. Or you might be able to feed the 10.7 MHz IF output of another radio into it. It may also work with any other RF Space SDRs that can tune 1090 MHz and sample at 2000 kHz.